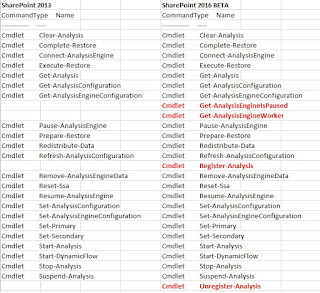 Installing and configuration using PowerShell works similar to SharePoint 2013. 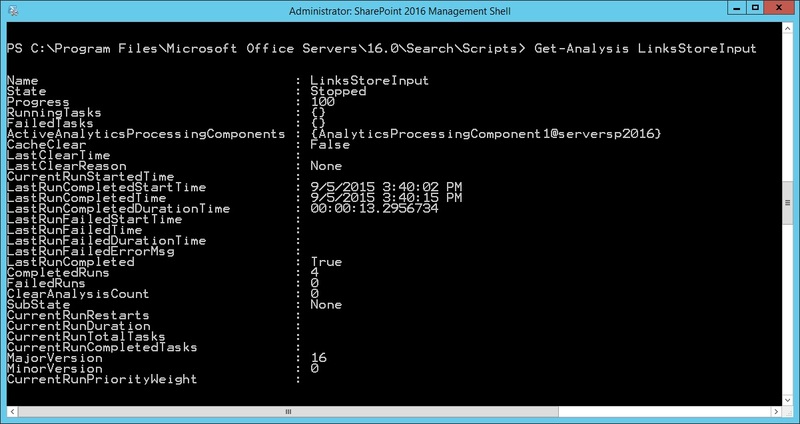 You can use the same cmdlets and scripts as in SharePoint 2013. Even if you not created a Cloud SSA as part of “Cloud Hybrid Search Preview for SharePoint Server 2013 and 2016” cloud and hybrid topics can be found everywhere. There is also another interesting information when we have a detailed look at the search topology. 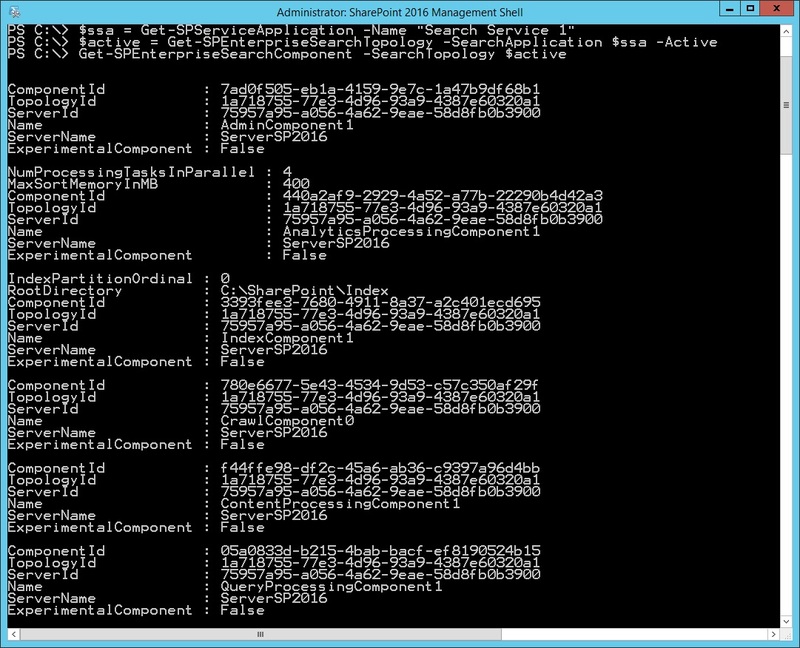 As you can see for every component we have a status information “ExperimentalComponent”. This can give us an information whether “Cloud Hybrid Search Preview for SharePoint Server 2013 and 2016” is configured or not. 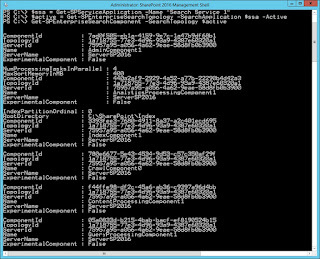 - a set of PowerShell cmdlets. 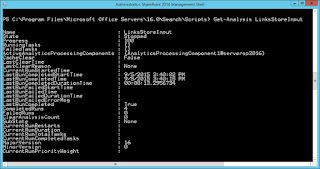 - It allow to control the internal workings of SharePoint Server search. Manipulations are not for production use, nor supported by Microsoft – but, it can get us a better understanding of what is going on under the hood. 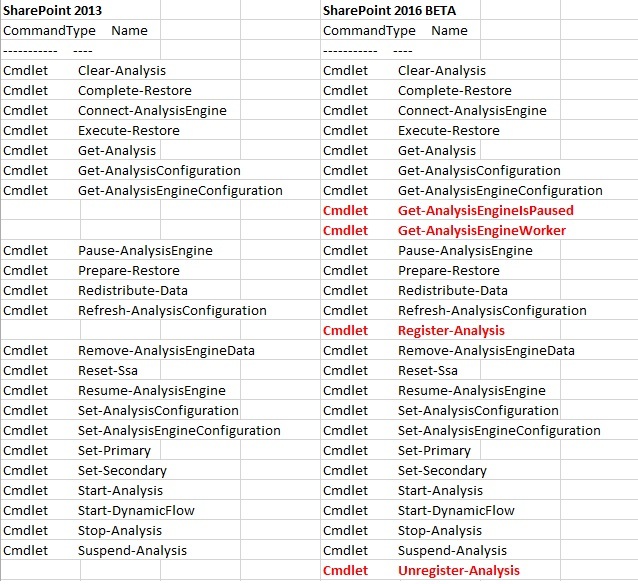 If you are interested in further information about the Ceres have a look here: SharePoint 2013 Search internals: The Ceres shell. cd "C:\Program Files\Microsoft Office Servers\16.0\Search\Scripts\"
Actually no further information or documentation is available for this new cmdlets. Actually no further information or documentation is available about this new component. Based on the name we only can suppose what it is doing. Get-flow is about the definition of “what” is happening in the Search internals. Manipulations are not for production use, nor supported by Microsoft. The Content Enrichment Web Service is the primary documented and supported mechanism for implementing "custom" processing logic in SharePoint Search – but, it can get us a better understanding of what is going on under the hood and what is new in SharePoint 2016 Search. Using the get-flow cmdlet results in an overview showing all flows. Cloud-awareness can be found everywhere in SharePoint 2016 Search, even if no Cloud SSA is configured.